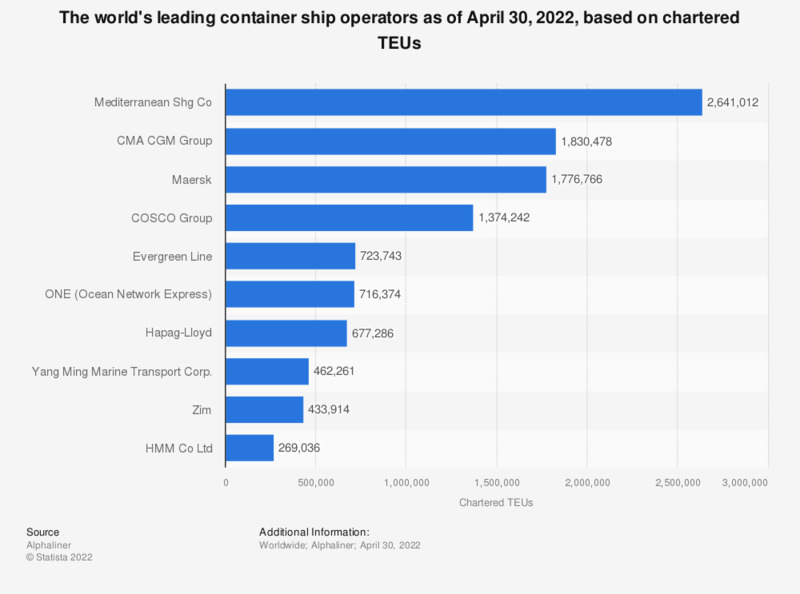 This statistic represents the world's leading container ship operators as of March 27, 2019, based on TEU capacity of their chartered ships. In March 2019, APM-Maersk's chartered ship fleet reached a capacity of around 4.1 million twenty-foot equivalent units. The abbreviation TEU stands for twenty-foot equivalent unit.